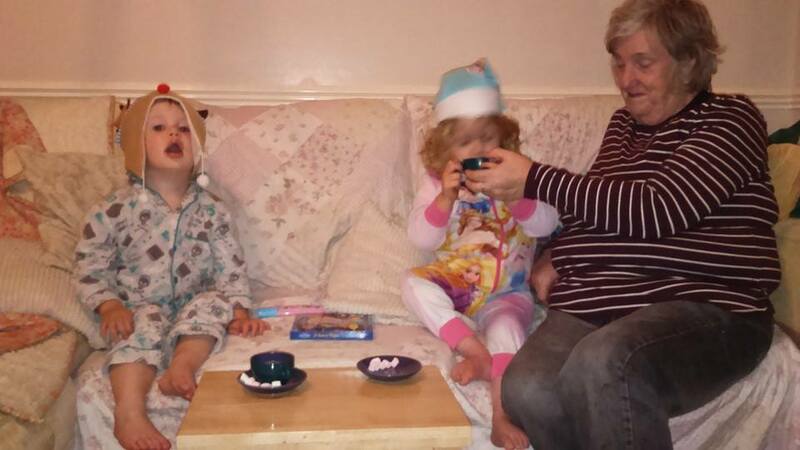 On the 15th November we had planned to travel to Disneyland Paris for a magical early Christmas and surprise for Nana. Unfortunately the terrorist attacks in Paris stopped our trip as we thought it was too risky to travel especially 2 days before her surgery. 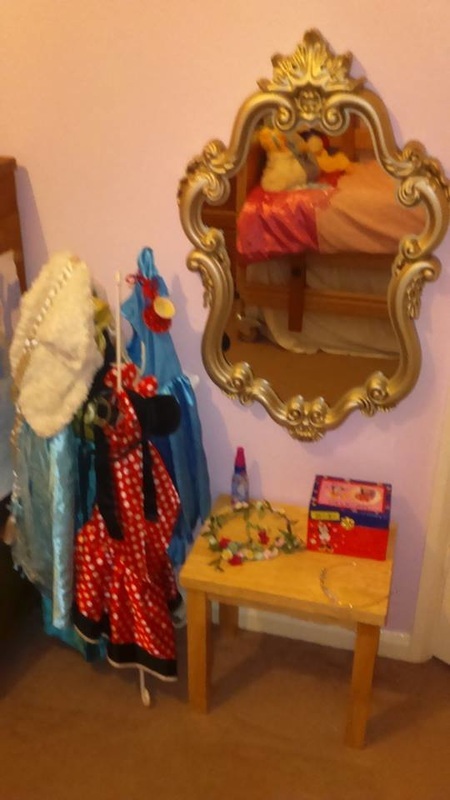 Maya was absolutely devastated to not be going as she went to bed thinking it was Christmas and that she was going to see Santa for the first time and Minnie mouse. She even woke up at 5am singing we're going to Disneyland and we wish you a merry Christmas. 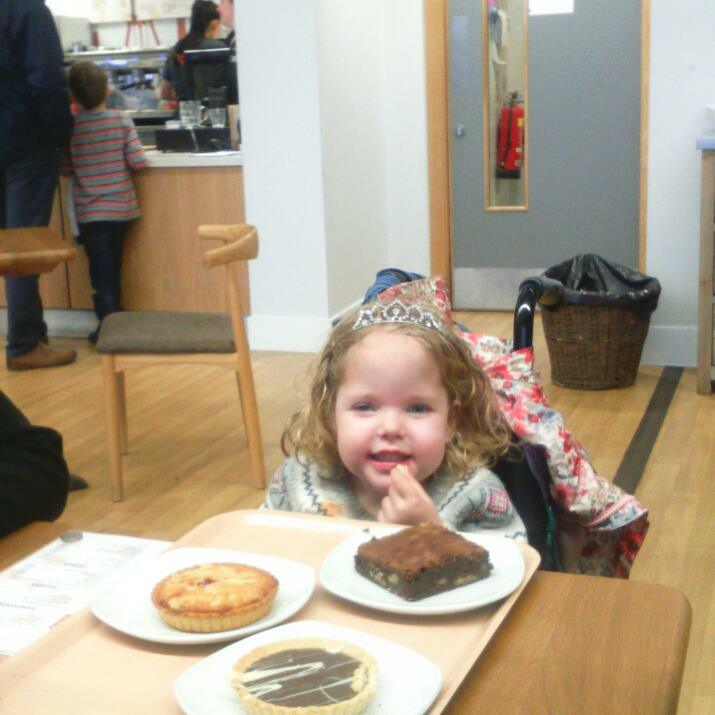 We had a few tears but she took it all quite well and Instead we made some magical memories with a princess lunch at ferry meadows and hot chocolate and Disney films at home. On the 17th November Maya underwent bilateral (both) hip reconstruction surgery with pelvic and femoral osteomies (used her pelvic and thigh bones). She has extensive metal work including pins and plates and rods inserted to hold it all in place and is in a special type of cast called a spica. The cast goes from her chest down to her feet and means shes in a fixed kind of sitting position all the time. This is the best position to encourage her hips to settle in a 'good' position and hopefully stay in position. Maya spent 7 hours in surgery with two surgeon, Mr Mitchell and Mr latimer operating at the same time. She lost a lot of blood during the surgery and required 2 blood transfusions. When the surgery was complete she was in theatre recovery for a few hours and then returned to the children's ward in a high dependency bed for 3 days. She was then well enough to be moved on the general children's ward in isolation and we made the decision to then bring her home and care for her at home with the support of the community nursing team. The community nursing team have been fantastic. They are there at the end of the phone and usually round to see is within the hour if we need their help or advise. They have supplied us with all the things we have needed to look after Maya and we feel we have been supported so well from the CCN team. Life in hip spica cast is... what can I say... Different! Its tough going! Its boring and Its just plain and simply hard work! the early days were tough. She was in a lot of pain, didn't understand, because she cant feel her legs she cried and thought they were gone. She had lots of swelling everywhere and muscle spasms all day and night. She has had constipation from the lack of movement. She has struggled to eat and drink because the cast is tight which in turn adds to the constipation and has also meant she has had some bad UTIs too. This then leads to her having severe dehydration episodes and a massive increase in seizure activity. Don't even get me started on trying to do the normal 'cares' for a child in hip spica especially one that in total weighs over 25kg and is in a fixed almost seated position. You can't bath or shower her, wash her hair and even nappy changes are a mission and some times a two man job. I think the hardest thing though is keeping her entertained. She can't get around herself at all and cant even reach things e.g. on a table very well coupled with her limited attention span. Things can get a bit wearing with constant demands, tantrums and the constant need for entertaining. She is also not sleeping very well so this is literally for 20 hours a day! Luckily with the kind hearts and generosity of lots of people especially from our family and friends and the wonderful teachers and families at Horwich parish school (Oma's school) we have had lots of different toys, activities and ideas to explore to keep her busy. THANK YOU EVERYONE! That pretty much sums up November! Roll on December and a date to get her hopefully out of cast! 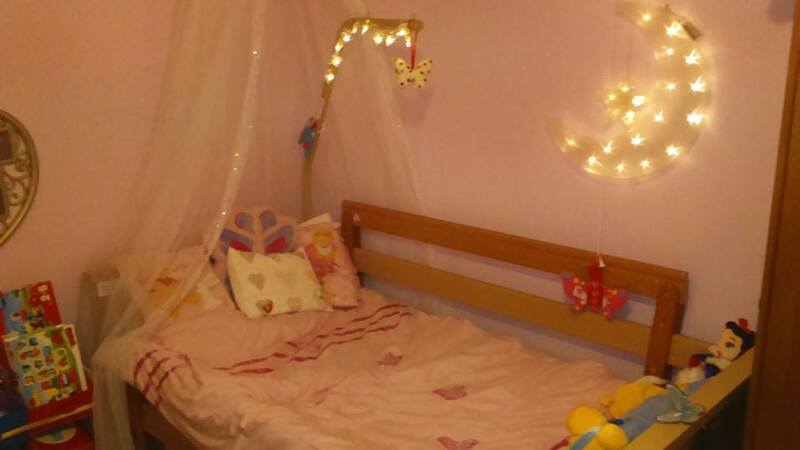 Whilst Maya was in hospital we took the opportunity to suprise her with a grown up princess room. 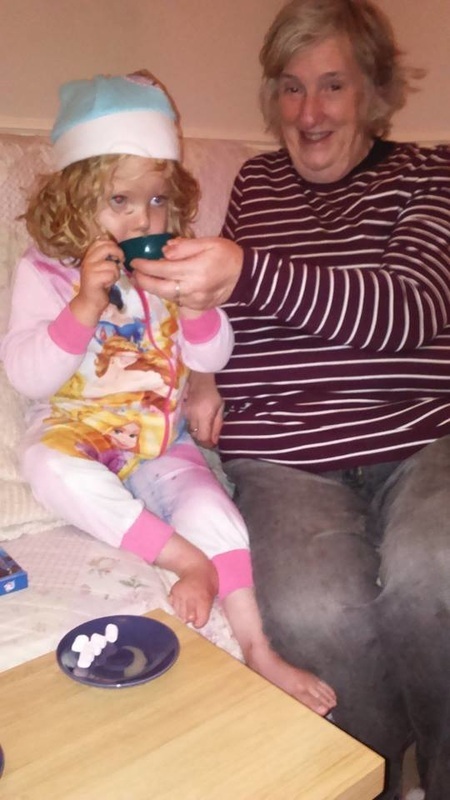 We were lucky to have been issued a profiling bed for Maya whilst she is in cast from her occupational therapist and a temporary monitor to help with monitoring her seizures (We really need to fund raise for something similar!) 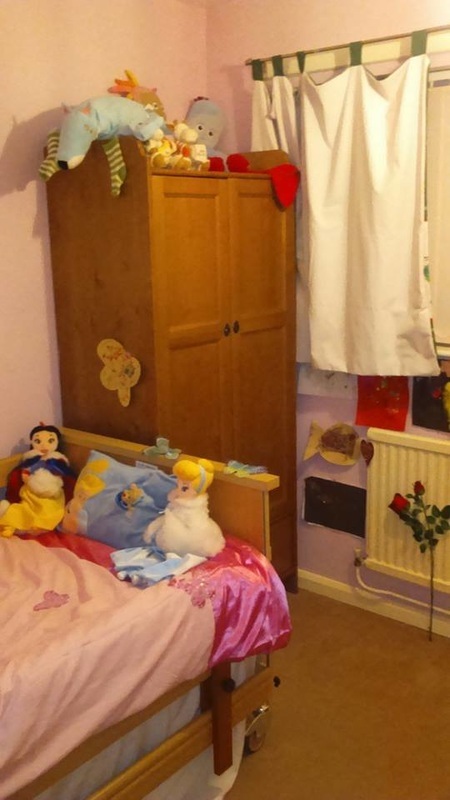 but we wanted to make her room look less clinical and fit for a princess. We also removed as many things from her room that she would struggle to play with whilst in her cast such as her play kitchen and sensory den. This was also necessary to make enough room for her wheelchair and for the community nurse and ambulance crews to get in when necessary. There is also enough room for a fold out bed for me to sleep next to her to give her round the clock care more easily. Here is the finished results.